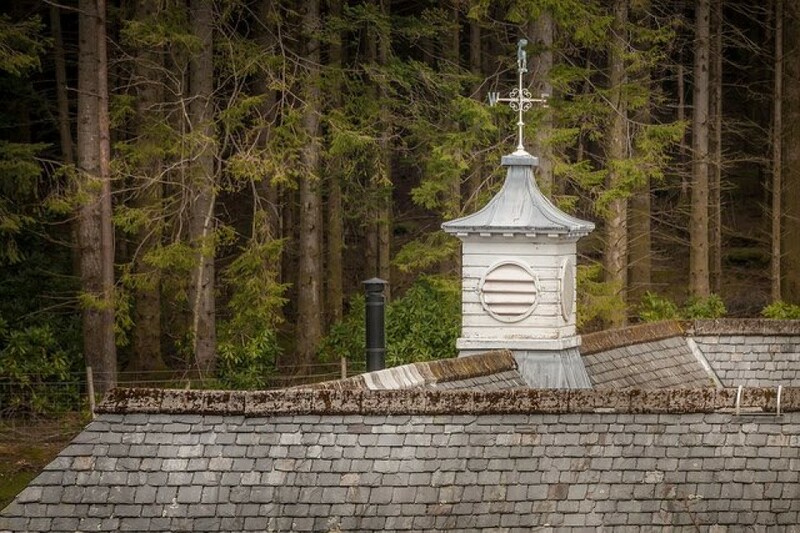 The Bell Tower Suites opened in 2017 and occupy a characterful building in its own right that is located only 50 metres from Glencoe House. The timing of the opening is particularly fitting as the bell from the tower was cast in 1927 by John Taylor & Co and 90 years on we celebrate a new era for the building. Suites Ten, Eleven, Thirteen and Fourteen are 75-85 sqm. 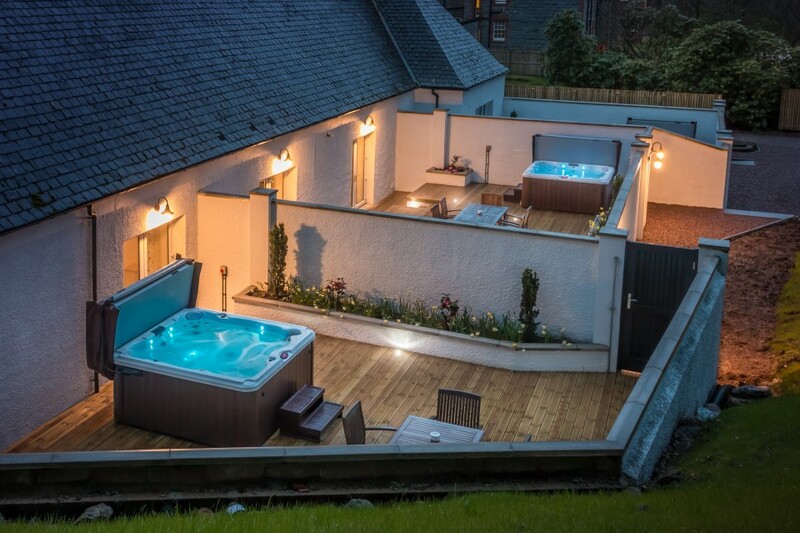 in living space and all suites benefit from private walled gardens with hot tubs and alfresco dining areas. 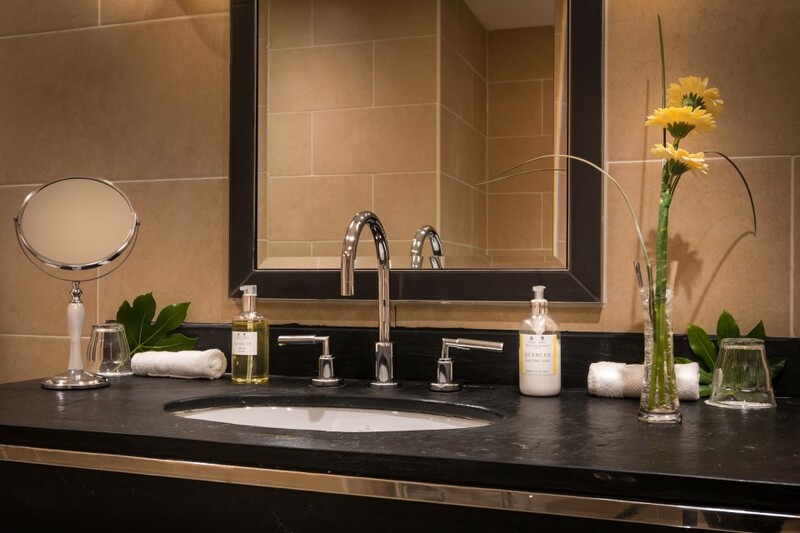 The Bell Tower suites have a modern country look and feel, which is fitting for their Highland location. To see for yourself please click on the arrow below, contained within the image, to view a short film. On sunny days why not dine on the terrace? Bedroom with emperor size bed on the first floor in addition to a WC and walk in wardrobe (please note twin beds are not possible nor additional beds). For to health and safety reasons no children are permitted to stay in The Bell Tower Suites. 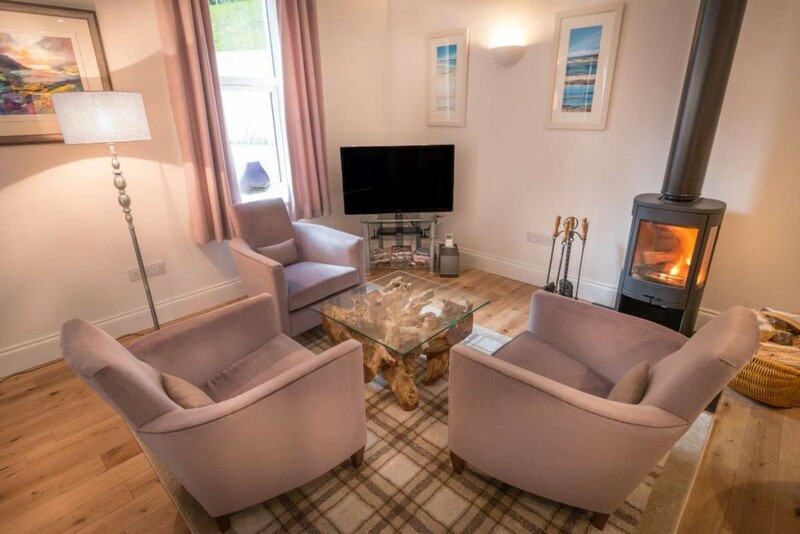 The comfortable sitting rooms of the Bell Tower suites gain from a wood burning stove that gives a congenial, warming glow and adds to the peaceful feel of the suite. Sit back, put your feet up and enjoy a Nespresso coffee or a drink from the maxi bar and step away from the world for a while. Feel free to catch up on films by putting on the internet enable 3D TV or slip in a DVD, alternatively expand your music preferences by scrolling through the in-suite Ipod that has 19,000 of tracks. If there is no escape from work, the sitting room has an elegant desk together with free wifi that allows you to keep in touch. 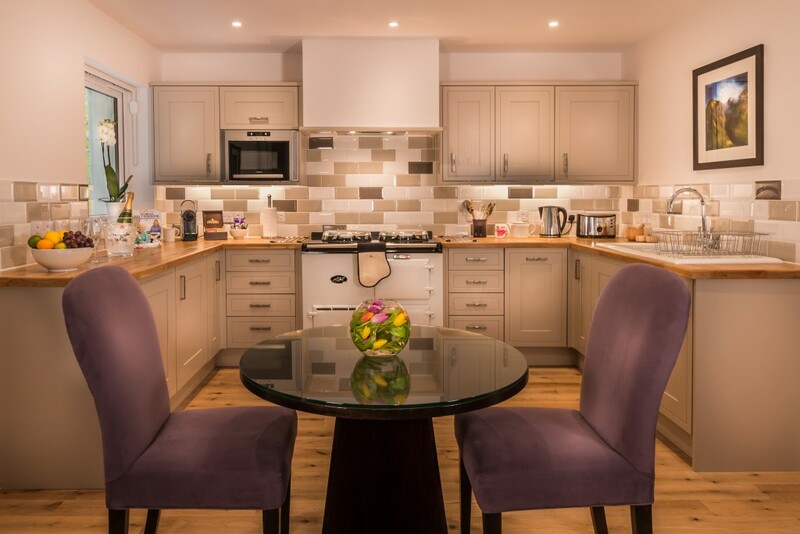 The privacy of the suite is enhanced by the fully equipped kitchen complete with Aga-oven, Dualit kettle and toaster and full sized dining room table. 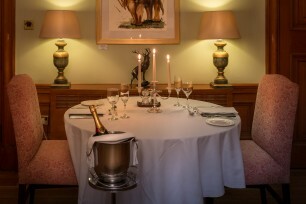 Dining is a relaxed and private affair where you won’t be disturbed by fellow guests or waiting staff; the suites are fully catered for although meals are not formally served. 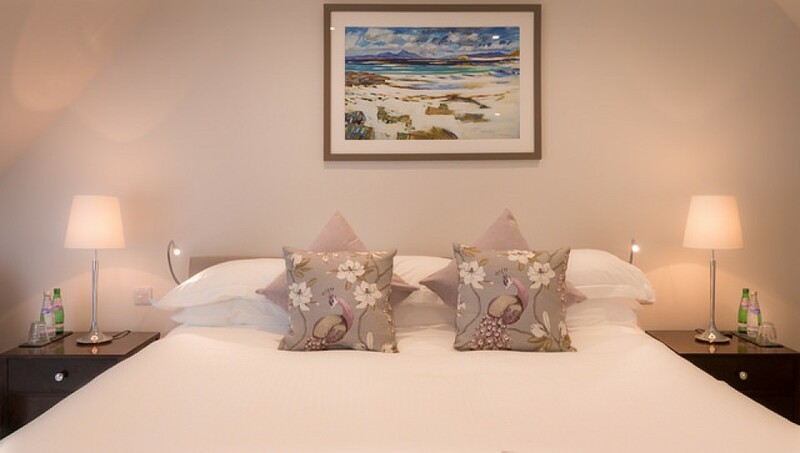 Breakfast is included in the room rate and the fridge is full of goodies so all you need to do is decide if you prefer locally sourced smoked salmon, a full Scottish breakfast or a continental alternative. Then just prepare and cook your breakfast, all at a time of your pleasing and remember no-one will know if you are still in your pyjamas at lunch time! Alternatively, sit back and let the chef take care of the cooking by booking a table in the Great Hall for a sumptuous breakfast at £12.50 per person. 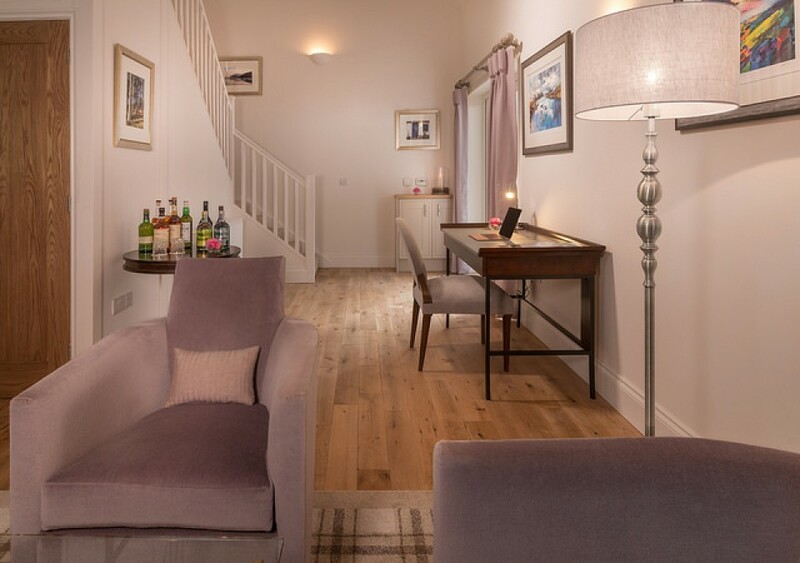 Dinner is flexible, either pre-book a table in the Great Hall of Glencoe House for a formally served candle lit 5 course dinner, or, relax in your suite and delve into your fully stocked kitchen which is full of delights. Choose from a wide range of pre-prepared gourmet meals and simply slip them into the Aga-oven and choose your accompanying wine or drinks from our ever-popular maxi bar. The dining experience is also enhanced by the Villeroy and Boch china and cutlery which gives that refined edge. Each suite also has luxury picnic basket if lunch on the move takes your fancy. For those little practicalities, the kitchen has integrated dishwasher and washing machine although all suites are cleaned and served daily. 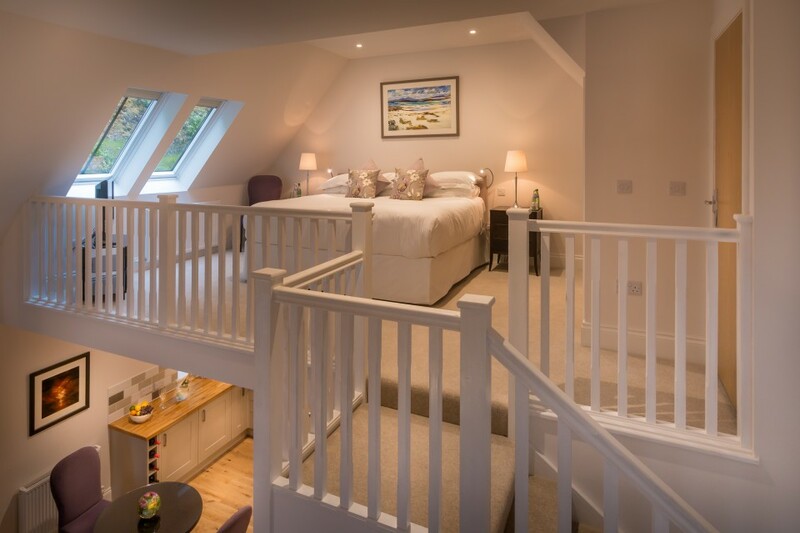 The bedroom occupies the first mezzanine floor has an emperor sized bed for utmost comfort and relaxation. The spacious wardrobe allows you to bring a full range of clothing so you are always prepared for the unpredictable Scottish weather. The room also has a TV if you want to catch up on the latest news in the morning. 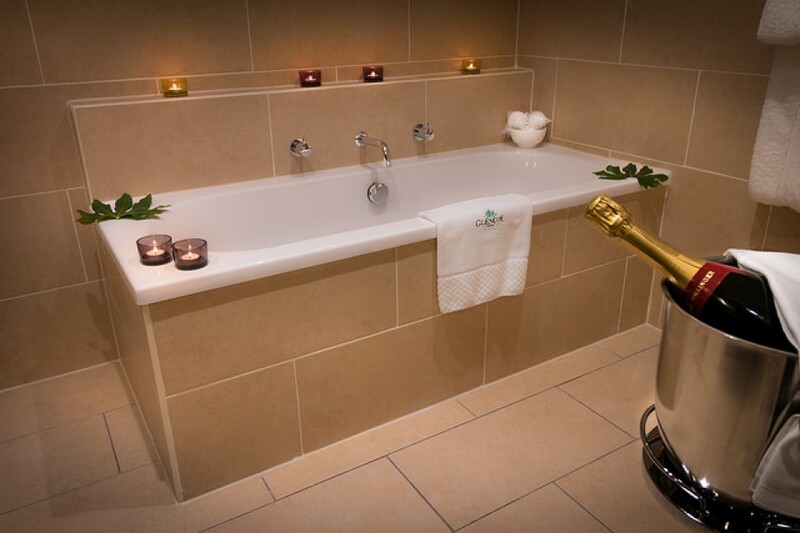 For convenience, the bedroom has an en-suite WC and hand basin with Penhalgion’s hand wash and lotion. 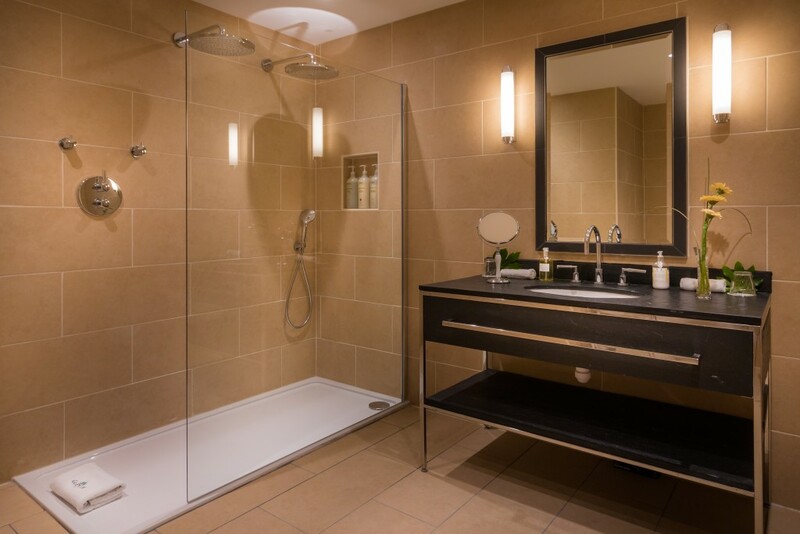 The main bathroom is on the ground floor and has an extravagantly large shower with twin Hansgrohe Rain Dance shower heads so there is no need to fight over who showers first. The lavish bathroom is enriched by the slate Villeroy and Boch washstand and bath so all you need to do is choose between bath bombs or bubble bath. 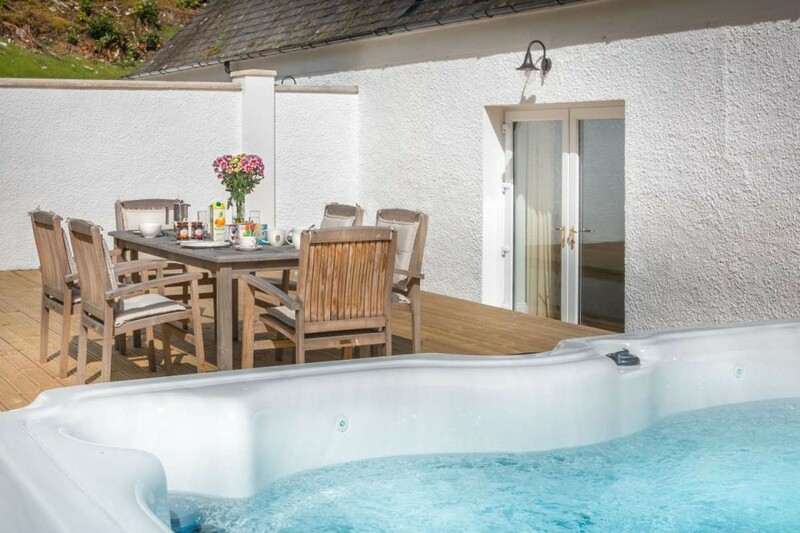 All suites benefit from a decked walled garden area where you can comfortably sit and relax. The prospect of having breakfast outdoors is always a treat, weather allowing of course, and is easy to do as there is outdoor furniture in all gardens. 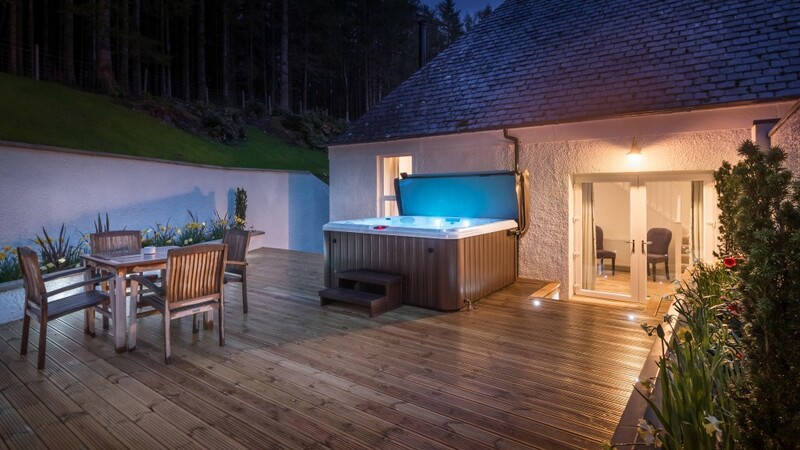 For the ultimate in relaxation, however, nothing beats watching the stars from the privacy of your own hot tub.